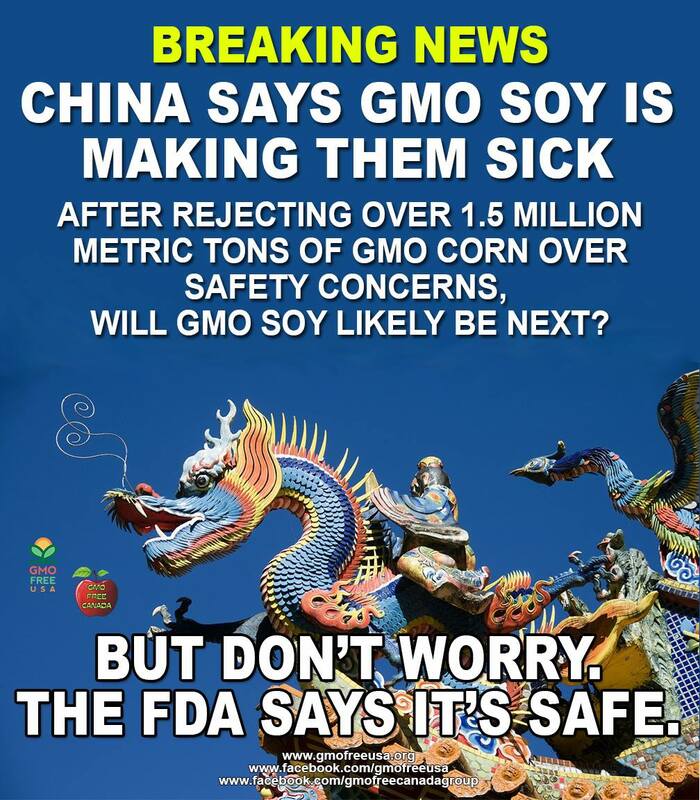 Chinese Ministry States: GM Soybeans Harm Health of China’s 1.3 Billion People. Chinese ‘Science & Technology Abstracts Newspaper’ under the leadership of China’s State Science & Technology Ministry, published a paper that may deeply damage the Biotech industry worldwide. The published paper, titled ‘Must face up to the harm caused by imported GM soybeans to the health of 1.3 billion Chinese people’ was written by Lieutenant General Mi Zhenyu, Vice President of the Academy of Military Science. The paper calls for China to adopt strong preventative measures to assure bottom line protection for the life safety and health safety of the Chinese people. Over many months, China has recently rejected over 1.5 million metric tons of GMO corn due to safety concerns, at a cost of $2.9 billion to U.S. agriculture. China is the largest importer of U.S. grown GMO soy and the main export market for GM soybean farmers in all GM soybean producing countries. The economic impact on our farmers, who have been sucked onto the GM Ag chemical treadmill, and our economy is mindboggling. Down doobie, doo, down down… are GMOs finally going down?